| Graphics | ..::: Melegraph :::.. Here you can find some samples of what we do in our leisure time and some work that we have created for some of our customers. Recently one of our team members has participated in Photography contests and we would like to portray his work on our site. You can view Andres’s photos through this link. 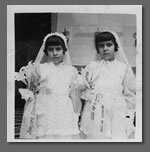 We have helped restore, fix and edit old and new photographs. Here you can find some samples of our work. We have a section for fun stuff that we create outside of work.